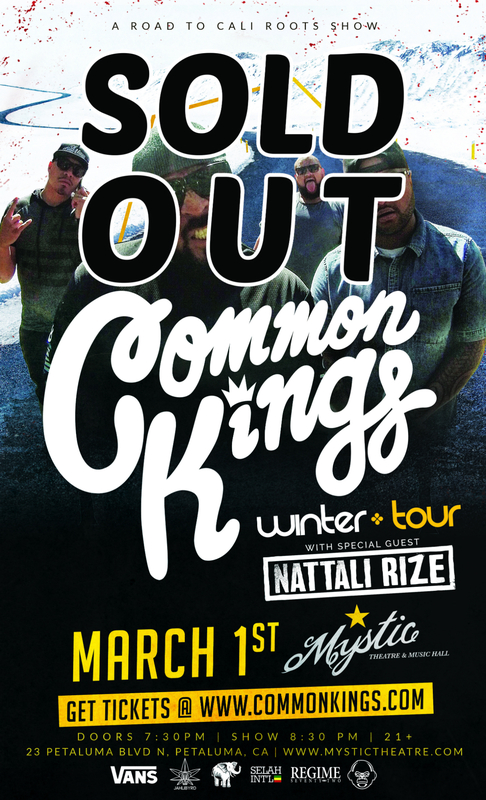 The Mystic & California Roots Present: "Road to Cali Roots"
Common Kings: Common Kings’ style and music is a collection of inspirations orchestrated into an array of head rocking beats, feel good vibes, and emotional fever. Their crazy, fun-loving attitude compliments Common Kings’ live sound, producing phenomenal pop hits with rock, reggae, and R&B influences. These influences originate from each band members love for various genres, and widespread knowledge of music.